A market segment helps effective marketing create profits for successful businesses. Working for companies that depend on strong marketing efforts, marketing managers choose strategies to promote sales and expand the customer base. Customer research helps to do this They divide the customer base into market segments to develop focused marketing strategies. Using market segmentation, a market segment is important to identify common groups in a market and strategize accordingly. A market segment represents a group of consumers with common interests. Each segment is unique, based on the particular group’s habits, traits and behaviors. To determine a market segment, three important factors are usually considered: homogeneity, uniqueness and reaction. Considering these three aspects, a company can segment its customer base and work upon targeted promotional strategies. Market segmentation based on homogeneity identifies the common demands of that particular segment, enabling more focused marketing promotions. Homogeneity in a particular segment also indicates the common habits and lifestyle choices within a customer segment. Most likely, these customers would prefer the same products, marketing messages and quality standards. As you can imagine, market segmentation based on homogeneity aids in demographics analysis and market research. In fact, it is crucial in optimizing sales planning techniques. Uniqueness of a particular group helps in differentiating it from other groups. That is why local search marketing services are so popular. In order to fully realize the success of any marketing strategy, it is important to understand that no two groups are same. For example, what works among the youngsters might not find favor with the senior citizens. Or, highly affluent individuals may not want the same pricing as unpaid employees. Identifying individual traits and differentiating them from others groups is essential for market segmentation. Reaction is a crucial part in market segmentation. Usually, consumers’ reception of a particular idea or promotion will vary across age, culture, behavior, habits and education. Marketing managers must observe the trends among these segments to ensure more positive reactions. Furthermore, reaction also varies across marketing platforms. Promotions that are suitable for traditional advertisements might not work on content marketing campaigns. To be successful, marketers want to humanize their target segments and come up with promotions that speak to their emotions. There are several segments used in re-targeting and other marketing strategies. These are the most common types of market segments in use by major corporations around the globe. 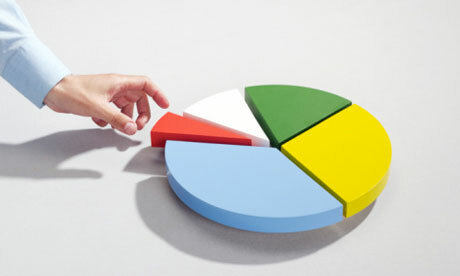 These three areas of market segmentation are the most commonly used. If you are looking to familiarize yourself with market segments, these three are the segments to start with. Behavioral segmentation is another commonly used type of market segmentation. It is used to divide a population on the basis of their behavior. This includes a population’s usage of products and their decision-making patterns. When using behavioral marketing segmentation, you base your product marketing on the behavior of your target audience. This is a form of marketing that is commonly used for smart phone marketing. Behavioral marketing is quickly on the rise. You would be wise to start learning more about how to use behavioral segmentation strategies now. A market segment is identifiable by its homogeneous nature, differentiation and particular reaction to a company promotion. Marketing managers can effectively implement their strategies to stand out in a competitive market by catering to their needs. Determining a market segment requires research and a bit of foresight to decide on the best promotional idea. However, proper segmenting can generate significant profits for the company, generating new sales, product ideas and marketing strategies. This is sure to help more than just your Instagram business account.